The recipe which I am gonna share with you today is a life saver if you have guests at home for evening snacks.You can make these yummy rolls which will tickle the tastebuds of both kids and elder ones. *Take grated cottage cheese and grated cheese in a bowl. *Add oregano seasoning,chopped onion,chilli flakes,salt and mix well. The stuffing is ready. *Take a slice of bread, cut it into two halves. * Heat oil in a pan and deep fry the dumplings. 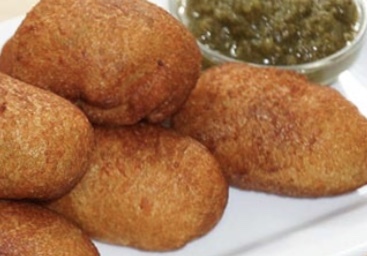 Yummy bread rolls are ready to serve,They taste even better with green chutney.Dont forget to serve the snacks with lots of love😍😍😍.